The wife and I had drinks at Ward 8 this Friday night. The owners are Cody and Anne, both formerly of Andersonville's In Fine Spirits. Cody's been a few places since IFS shut down, including a stint bartending at Journeyman Distillery in Michigan. 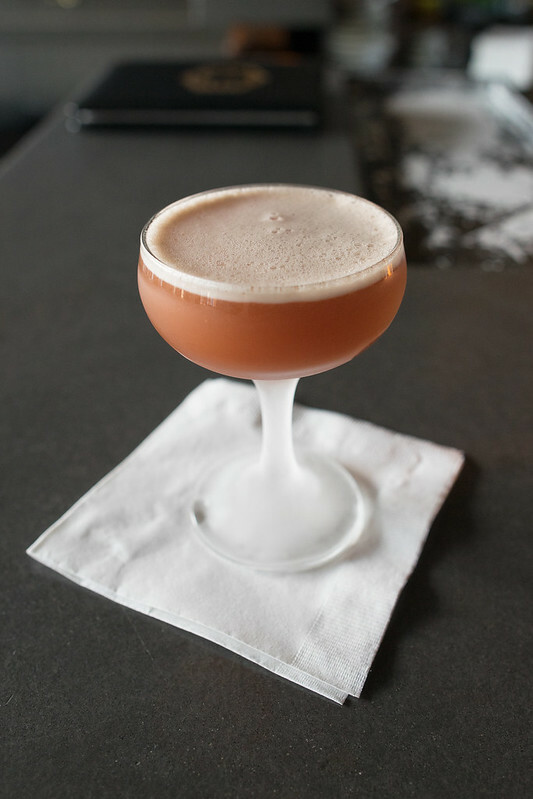 As an Andersonville resident, I regarded the cocktails at IFS as "good for the neighborhood" but not within the league of Chicago's best places (the Drawing Room, Sable, Scofflaw, Whistler). I don't know how much control Cody had over that cocktail menu. Anyway, either he's gotten a LOT better since then, or his hands were tied at IFS. This is a great -- and unexpected -- cocktail place. It's on Howard Ave just west of the Metra tracks. There's no sign, as of now -- though apparently they're in the process of getting one approved by Evanston. The interior is classy but understated, and on the small side. No TVs. The cocktail menu is long for a place like this, with about 20 cocktails and a handful of shots. Before you roll your eyes, note that these house shot is a mix of yellow Chartreuse and bitters, and another is a mixture of two different Fernets (Branca and a new one made in Colorado). We had a number of cocktails, both on menu and off, including an intense (as-yet-unnamed) libation made with green Chartreuse, pineapple juice, tequila and siracha (!). The Elk's Own, with fresh grated nutmeg, was another standout. But everything we had (and we had a lot) was truly top notch. They have a limited food menu; mostly sandwiches and snacks. The ham sandwich was excellent. Cody is incredibly knowledgeable, charming and generous -- everything you could want in a bartender. He tolerated our endless questions and banter like a true gentleman (we are amateur cocktail nerds, and as such can be a bit pestering). With places like this, I'm always torn between wanting them to be successful and hoping they're not so popular that I have to tolerate hour long waits to get in. The place was only about 1/4 full on a Friday night; word clearly hasn't gotten out yet. Ward 8 is clearly the result of a lot of love and hard work, and I really do hope they succeed. It reminds me a lot of two lost friends, Mado (passionate husband and wife team) and early McGee-era Whistler. High praise, indeed. Made it to Ward Eight tonight. I can echo everything expressed above, plus a respect for Cody's ability with off-menu cocktails. I'm a beer guy, and rarely order cocktails, but the Rob Roy he came up with was by far the most fragrant and delicious version of this old-school cocktail I've ever experienced. He seems to be skilled and welcoming of other off-menu requests, too. The cocktail menu itself is interesting, paying a nod to history, too, suggesting dates when each cocktail was "invented." The beer menu, while small, is well-chosen. The food menu isn't extensive, but the charcuterie plate and cheese plate we had, coupled with the bowl of roasted brussels sprouts and cauliflower with pancetta and raisins made for a very nice dinner. Highly recommended, and possibly a catalyst to make this otherwise undistinguished stretch of Howard Street more of a destination (along with Badou Senegalese Cuisine, about a block west across the street). nr706 wrote: the charcuterie plate and cheese plate we had, coupled with the bowl of roasted brussels sprouts and cauliflower with pancetta and raisins made for a very nice dinner. 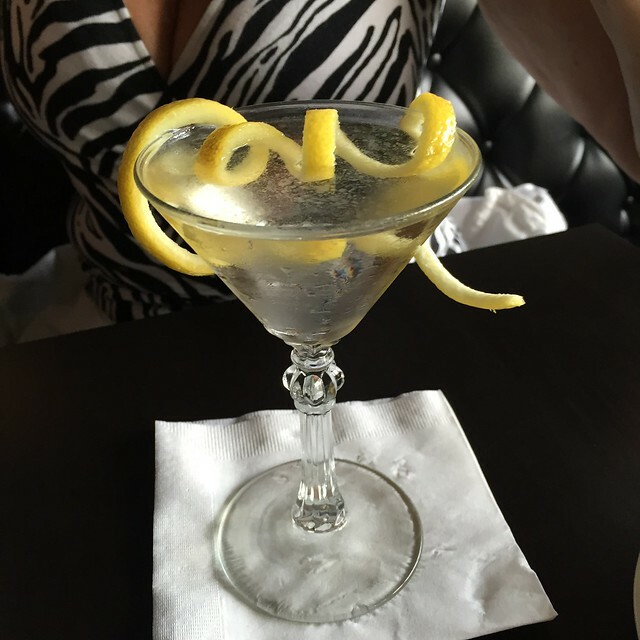 My husband is totally not into cocktails, but the way you describe this place, it sounds like I might persuade him that it is a nice place for a quiet dinner on the way home from work, something we are often looking for. Charcuterie and cheese and roasted brussels sprouts -- he will definitely be interested in that! What are the prices like, if we each have a cocktail (more likely he has a beer and only drinks half of it), and enough food for a not too heavy dinner, what will that cost (best to have my husband prepared). And it sounds like the place is reasonably quiet? ..at least until it gets discovered! The charcuterie and cheese plates were $15 each, or both for $28. I don't remember what the veggies were, but that all made for a nice dinner, on the lighter side, for the two of us. Most cocktails are $10, with a few priced at $8. Quiet, conversation-friendly environment. Thanks, I floated the idea to my husband tonight (on our way to Lucky Platter, our go-to place for an after work dinner) and he seems amenable, so I will report back when we get there -- probably in a few weeks (out of town trips coming up, unfortunately). We had a very nice session here last week before a dinner up the street at Badou Senegalese Cuisine. I like the vibe of the place a lot. It's comfortably rustic with only a minimal touch of polish. It has a lived-in feel but it's not shabby. The interior is mostly dark gray with some dim zone lighting. There are a few tables throughout the room, and a long bar along the west wall that's flanked by about a dozen stools with backs. I arrived when they opened at 5 and it being a weeknight, by the time I left at 7, it was still pretty mellow. 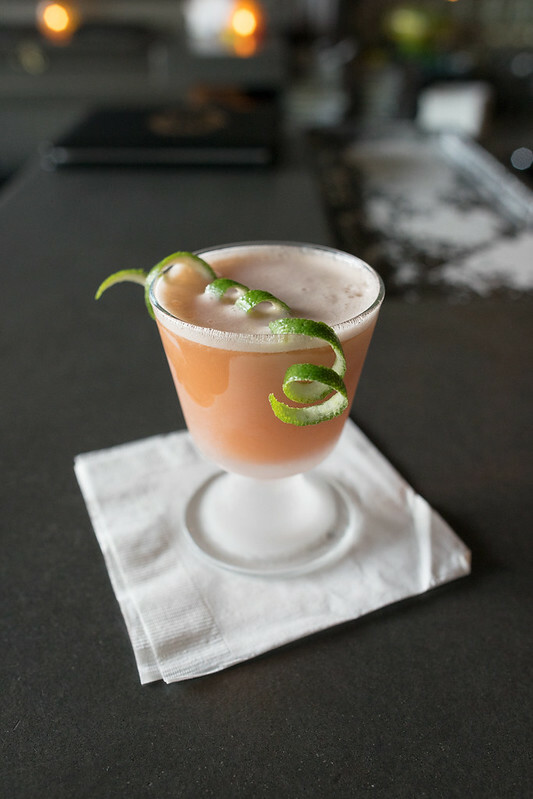 The engine of this place is its bartender and co-owner Cody Modeer (along with co-owner Anne Carlson), an L.A. native who used to run the bar at In Fine Spirits after Benjamin Schiller departed for the Boka Group. Before then, Cody spent some time working under Schiller and it really shows in his technique and attention to detail. Our drinks were delicious and well-balanced across the board. The cocktail menu is pretty extensive, with over 2-dozen offerings. 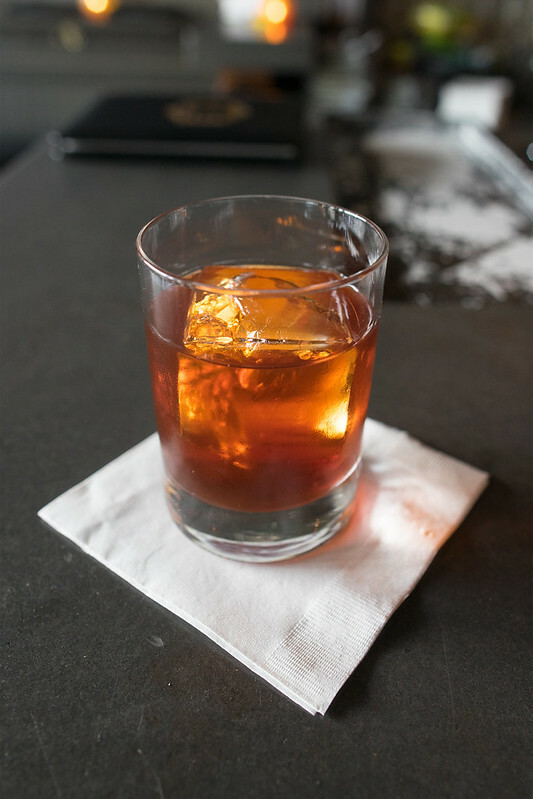 There are classics and contemporary libations, as well. In addition to listing each drink's contents, the menu also provides the approximate year of each drink's origination. During our session, between the drinks I ordered and the ones I tasted (ordered by my companions), I tried well over a half-dozen of them. My 2 favorites were Cody's take on the classic Vieux Carre (rye, cognac, vermouth, benedictine, bitters) and the Dead Meadow (Leopold Brothers apple whiskey, Buffalo Trace, Nocino liqueur, bitters). 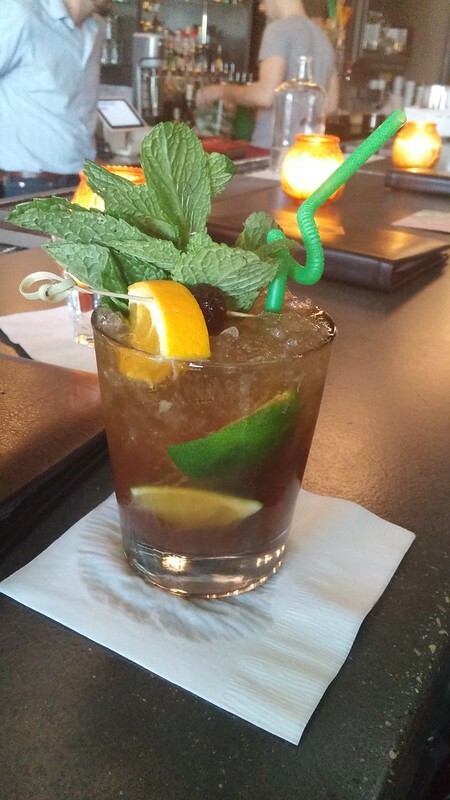 This is a drink that Cody had made for me a couple years back at In Fine Spirits. At that time, it didn't really sing for me, though. I thought some freshly expressed orange oil got in the way of the apple. However, the version I had the other night at Ward Eight was nothing short of fantastic. It struck a perfect balance between sweet and boozy. Other cocktails, like the Boulevardier, Manhattan, Corpse Reviver #2, Gimlet, Old Fashioned and Side Car were all very tasty, well-balanced and well-crafted. One of my companions paid the bill so I'm not entirely certain if some snacks we tried were comped or not. In any case, the Za'atar Spiced Marcona Almonds and the Marinated Olives were tasty and made nice accompaniments for our drinks. 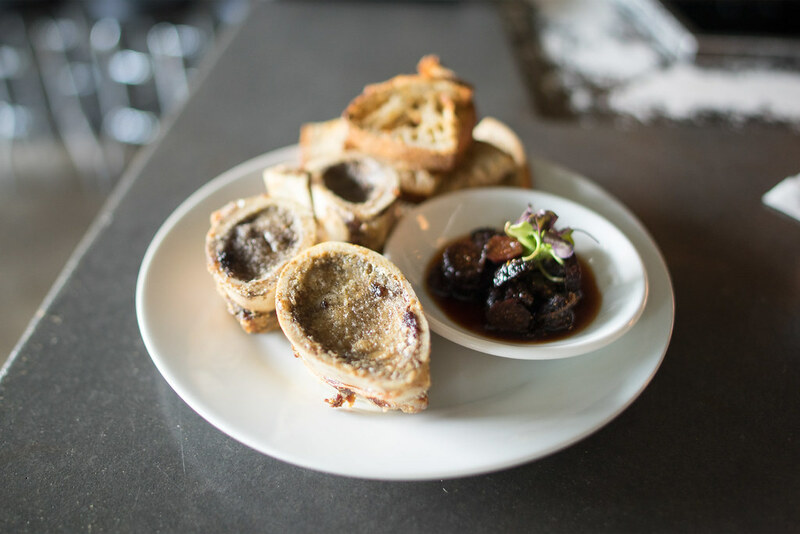 The food menu is less extensive than the drink menu and offers a nice-looking assortment of bar snacks, including some cheeses, charcuterie and sandwiches. I'm sure I'll be trying more of these items in the future. The bottom line is that Ward Eight is the real deal. It's a serious bar with drinks that reflect a substantial knowledge of -- and sincere appreciation for -- cocktail culture. As much as Chicago is coming on line with its cocktail scene, bars like Ward Eight are just too hard to find. It's a great addition to the scene and we're lucky to have it. Although I am not in the same league as Ron when it comes to knowledge and appreciation of craft cocktails, I feel obligated to add just a few words to his excellent (and very accurate) report. While I may not have the depth of experience or frequency of sampling that some do, I like to think that I make it out enough to appreciate a great cocktail. And the three drinks I tried were really top-notch. I liked the menu, which lists, among other things, the provenance and date of first appearance of everything listed. Some of the dates were a real surprise and the evolution that can be seen by comparing dates is nothing short of fascinating. I had three drinks, the last of which was a Side Car. I liked all three drinks but the Side Car was a revelation. I have never had a better one and frankly, after Cody's, can't really imagine it. Perfectly balanced...just a miracle in a glass. I would also be remiss not to point out how warm and welcoming the place is. A touch dark for my taste but Cody and Anne are the perfect hosts. They both have the gift of knowing when to interrupt your conversation and when to leave you alone. Cody is extremely knowledgeable and my only regret is that Ward Eight isn't walking distance from my house. Which, upon reflection, might not be all bad. Because I'd probably just have to move in. Had a nice light meal and a few cocktails - cognac sazerac (made with rye on their menu, but Bavette's Bar and Boeuf has convinced me this is the way to drink a sazerac!) was perfect. Food was really well thought out, but simple. I don't see this as a frequent destination when I'm hungry - but definitely when I'm thirsty and maybe just in the mood for a snack. I also tried the sidecar, which was well worth the $8 or $10...can't remember. This caliber of cocktail is about 20% cheaper than its competitors, with just as cool of a vibe and warm space as any other craft cocktail joint in town. For food, I had a bowl of potato/cheese spread (consistency of a really thick soup, served hot with toasted bread) - forget what it was called (french name maybe), and their menu isn't online, but it was good. I had the roasted cauliflower/sprouts, which was also good and had awesome little chunks of salty pancetta. Ham sandwich was basic Ham and Cheddar, but the quality of ham was exceptional. I visited a couple nights ago with my fiancee and a friend. I'm still a cocktail novice, but trying to make up for lost time, and was suitably impressed. (I had the Vieux Carré and the Sazerac.) However, as a beer enthusiast, I have to say that Ward Eight may have the most impressively curated beer list I've ever seen. With only four taps and two bottles/cans, they offer a diverse selection, weighted to local brewers, with very reasonable prices. As much as it was pure unadulterated bliss last visit, the Sidecar this time was more problematic. I couldn't identify the problem: in the mouth, it tasted fine and well-balanced. But every swallow left a slightly acidic, unappetizing taste in my mouth. Eventually, I gave up and didn't finish it. I mentioned it to Cody but who knows. A real disappointment given the stellar first one, but things happen. For my third drink, I had noticed a bottle of Zucca on the wall--a rhubarb-flavored amaro. I was surprised to see it and asked Cody to come up with something. In the event, it was basically a Negroni. Without knowing what he'd do, I thought the Zucca--in whatever manner he used it--might go well with the fig preserves/farmer's cheese sandwich and I was right. They complemented each other beautifully and I loved the combination. Absolutely wonderful combination. And the drink was a creative use of the Zucca, I thought. As we got to talking, Cody explained some of his other thoughts before he settled on what he actually made. One was a Zucca "latte" and I'll confess I couldn't imagine it. Somehow coffee and rhubarb just didn't seem to work or to be appetizing. In any case, as I am sitting there happily drinking and eating, my server comes over and puts down a new drink. Huh? I've already got one. This must belong to someone else. No. Cody decided he wanted to experiment and so devised the Zucca latte. Remarkable. Amazing. I could have had two more. Easily. A wonderful, wonderful drink and I'm gonna request it next time I'm in. Did I say it was wonderful? All in all, a positively lovely hour. Next time, though, I'll go during the week. Friday night is, not surprisingly, not the night for a relaxing hour or two. Oh, and don't forget to park on the north side of the street. That's Evanston--meters stop working at 6pm. South side of the street is Chicago. Meters run until 9pm. I had a really enjoyable session over at Ward Eight last Friday. I showed up right at the open and sat at the window end of the bar. As much as I liked the space on my previous visit back in January, being there with the afternoon daylight streaming in through the front windows was even better. A few other parties entered and settled in, mostly at the tables away from the bar. Most of them seemed like they'd been there before, referring to drinks they'd had on previous visits. It was interesting to me that even though I think of Ward Eight as a premium cocktail bar, plenty of customers we're ordering beer and wine, too. And they were eating. In that respect, I think it's already developed a strong foothold as a neighborhood bar. I was there for about 2 1/2 hours and during that time, several groups came and went. At about 7:30 when we left, it was not quite crowded but I got a sense that the Friday evening rush was just around the corner. I was happy to order from the menu but Cody and I started chatting about Tiki and its variants. He told me he'd been messing around with the Gunshop Fizz over the past few days and asked me if I'd like one. 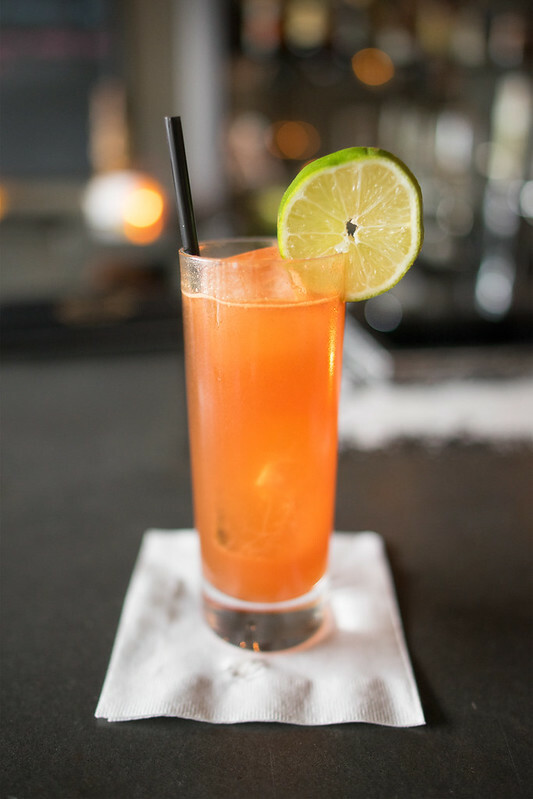 While not a tiki drink, to me, it's almost an inverted version of one, with its main spirit being Peychaud's bitters, plus the strong notes of fruit and expressed citrus oil that provides a long bitter finish. I'd had them before and thought Cody's rendition measured up to some of the better ones I've had. Next up was another Dealer's Choice; a Queen's Park Swizzle. 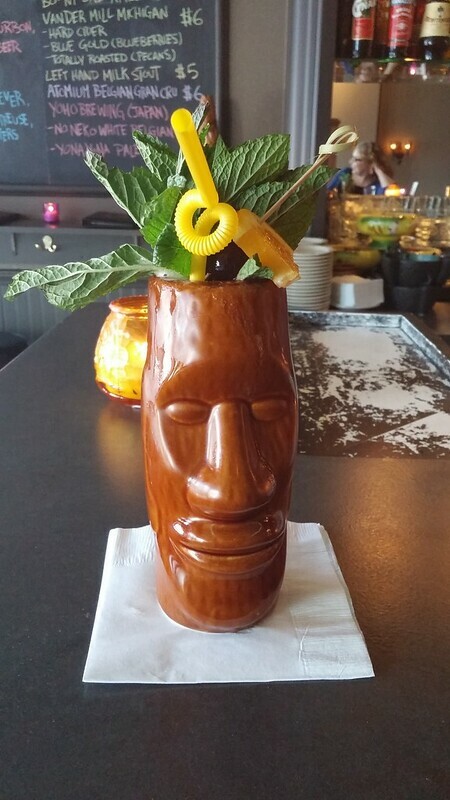 Its demerara rum base puts it much closer to the tiki neighborhood. I liked the aggressive use of bitters and the fact that there was bruised mint at the bottom of the glass and fresh mint at the top. Together, they delivered both flavor and aroma in every sip. After that, my companions arrived and I had a Brooklyn, which was a nice, dry step down. We also had a few tasty snacks, including the Za'atar Spiced Marcona Almonds, Marinated Olives, and a Cheese Platter (Prairie Breeze, Humboldt Fog, Gorgonzola Dolce Latte), the latter of which was sent out for us. Once the 4th person in our group of 4 arrived, we ordered some sandwiches and sides. I thought the Roasted Brussels and Cauliflower (with pancetta and golden raisins) was awesome. We tried both the Ward Eight Sandwich (pulled Amish chicken, bourbon bbq sauce, celeriac remoulade, pickled jalapenos, marble rye) and the Ham and Cheese sandwich (Nueske ham, Carr Vallley applewood smoked cheddar, dijon, marble rye). I liked the former quite a bit but absolutely loved the latter. I thought the seemingly simple sandwich was far more than the sum of its parts. The smoked cheddar worked perfectly with the ham and the gentle griddled rye bread. Service could not have been friendlier. Not only is Cody a great host but Anders, Matty and Kevin also took great care of us, and everyone else in the place. It was a pleasure to watch these guys doing their thing together. Establishing a genuine, friendly vibe is such an important part of making a bar a welcoming destination and at Ward Eight, they have that down pat. I'm not in Evanston very often but on this occasion, once I knew I'd be there (for a show at NU), I did everything I could to steer our group to Ward Eight and I'm really glad I did because it was just a perfect way to end my work week and kick off our Friday evening. nr706 wrote: Made it to Ward Eight tonight. I can echo everything expressed above, plus a respect for Cody's ability with off-menu cocktails. 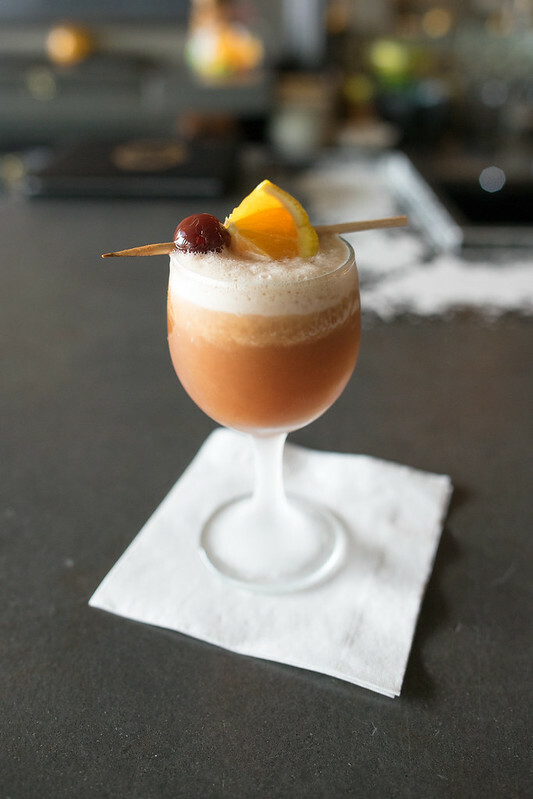 I'm a beer guy, and rarely order cocktails, but the Rob Roy he came up with was by far the most fragrant and delicious version of this old-school cocktail I've ever experienced. He seems to be skilled and welcoming of other off-menu requests, too. The cocktail menu itself is interesting, paying a nod to history, too, suggesting dates when each cocktail was "invented." The beer menu, while small, is well-chosen. Amen to this, went to War 8 back in February and Cody mixed me up a custom Old Fashioned with a few twists - was fantastic! Inaugural visit to Ward Eight this past Friday, and I will be back again (and soon). 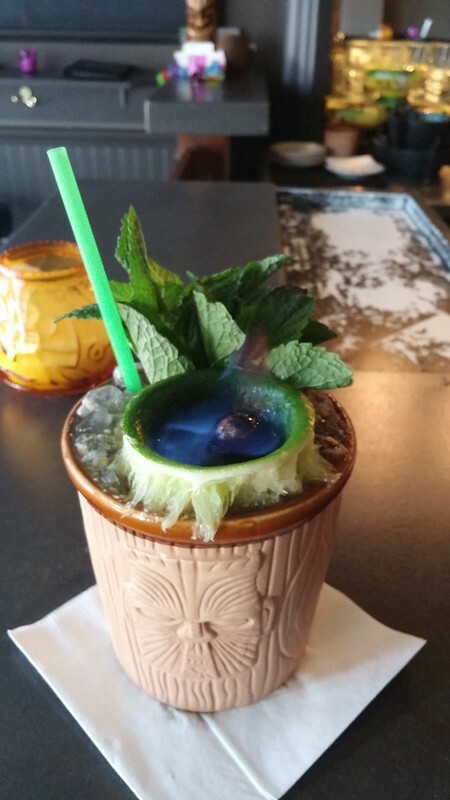 Ronnie mentioned his talk with Cody regarding Tiki drinks, and there is now an amazingly good Shrunken Skull on the menu that closed my night and sent me out the door smiling. Special was a refreshing mezcal drink that had a great kick to it. My go-to is normally a Manhattan, but Ward's Brooklyn was quite tasty. Food-wise we had two different orders of dates (regular menu and special which wasn't all that discernible), the sausage special (Andouille and lamb sausage, which had quite the gamey taste), the brussel sprout + cauliflower dish that was great, and their spiced almonds which encouraged me to drink more as they left my throat quite dry. I love, love, love this bar. I had a great session earlier this week and Ward 8 is just the epitome of the classic neighborhood watering hole. Cody, Anders and the whole team simply get it right when it comes to hospitality. They also make some great drinks and have a very nice selection of spirits. We had some Dealer's Choices that were great, then a super-tight Brooklyn, and finally Cody wouldn't let me leave without making one of his classic Dead Meadows for me. Great stuff all the way around. He's an incredibly generous guy, too. He knew one of my companions was a serious home-brewer and after tasting a couple brews and chatting about it for a while, he gave my friend an empty, 5-gallon barrel from Journeyman distillery which he had previously used to age a batch of Last Words. That type of kindness is so rare, and, IMO, totally awesome. I'm not in Evanston often but every time I am, I happily use it as an excuse to go to Ward 8. I also need to plan more frequent dedicated trips to Ward 8. It's a great little destination. Could not agree w/ Ronnie more...LOVE this place. Great vibe, great drinks, and almost always an equally awesome soundtrack coming out the speakers. Ward 8 has been on my radar for a while, but the GNR nomination finally inspired me to visit over the weekend. We stopped by on Sunday night and there was a jazz band playing. The music was entertaining but also didn't overwhelm the room so we could talk. The cocktail menu is focused on classics like the French 75, Vieux Carre, and of course the Ward 8. It includes a list of ingredients, a description of how the drink will taste, and a mention of the drink's history. They also had a short list of house creations on the blackboard. I really appreciated this direct approach to cocktails and enjoyed a superb Brooklyn made with a homemade Amer Picon clone. For my second drink I chatted with the bartender about some drinks he's been playing with recently. He recommended a trinidad sour and it was great. It's an interesting drink made with angostura bitters, orgeat, lemon juice and a half ounce of rye just to round it. The entire experience was welcoming and enjoyable. I'd gladly return. At Ward 8 tonight, I found myself making a statement about my cocktail that is probably almost never uttered anywhere. ronnie_suburban wrote: I'm not in Evanston often but every time I am, I happily use it as an excuse to go to Ward 8. I also need to plan more frequent dedicated trips to Ward 8. It's a great little destination. I'm now creating reasons to be in and around Evanston -- just so I can go to Ward 8. I went out of my way and stopped in the other night after having dinner in Andersonville. That's how much I love it there. What a great place to spend time. So easy-breezy. Great drinks, great snacks, great people. A quintessential GNR if there ever was one. A co-worker of mine who lives in Rogers Park finally went to Ward 8 for the first time earlier this week. He loved it and told me "we'll be back there frequently." His reaction, after only a single visit, does not surprise me one bit. Great atmosphere and will return. I've had reason to make more a few recent stops at Ward 8 lately and have not been disappointed. Whether I've just had just drinks or food too, the quality level continues to be high. Last night's visit was enjoyed on the back patio. One companion was not drinking, so the staff at Ward 8 came up with a couple of off-menu, non-alcoholic drinks: a "virgin" Moscow Mule and a saffron soda. Both good, but the latter was especially interesting. My French 75 and Bee's Knees were great. Probably my only quibble is that the picnic table seating in the back isn't especially comfortable. Walked over there for the first time last saturday night. I had already eaten, but I did like seeing one of my favorite cheeses, Prairie Breeze, as well as La Quercia prosciutto on the menu (I guess I like Iowa!). I had a sazerac which was good and another drink which I forget but was also good (one of their ones instead of a classic cocktail, I would look it up if they listed them on their website). Impromptu trip to Ward Eight last night. Mr. X and I sat at the bar where we had the excellent service of Anders and Cody. I started the Bee's Knees, which is one of my favorite warm weather sippers. (Yeah, I know it wasn't warm last night -- I'm a dreamer. ) Mr. X. started with a Brooklyn. We split the roasted Brussels sprouts and cauliflower, the ham and cheese sandwich, and the house flatbread (argula, red onion, spiced apple, a spread of some sort of cheese). For my second cocktail, I wanted to stay with gin and commented that I've never had a really good negroni. Cody quizzed me on my preferences and proceeded to make the best negroni I've had. I'm not sure what Mr. X had. The team at Ward Eight are still at the top of their game. It was a pleasure to spend a couple of hours there last night. Sister was in the neighborhood and wanted to grab a quick drink before heading over to Elizabeth for their Game of Thrones Dinner. I arrived shortly after opening to see the place decked out in Hawaiian garb -- I had forgotten that they now have a Tiki Tuesday program! As always, the cocktails were perfect. So very happy to have this spot between work and home. we finally made our Maiden Voyage 2 nights ago. One classic Craft Cocktail I use as a "yardstick" by which to measure/compare bars- is a Dark and Stormy. along with Brugal Anejo & lime. to imbibe your way through their Menu of Cocktails. Give this place some love. In the words of ancient Chinese Proverb-- "a Picture can speak a Thousand words..."
I offer these pictures as inspiration to head to this comfy cocktail-centric lounge...and enjoy yourself! 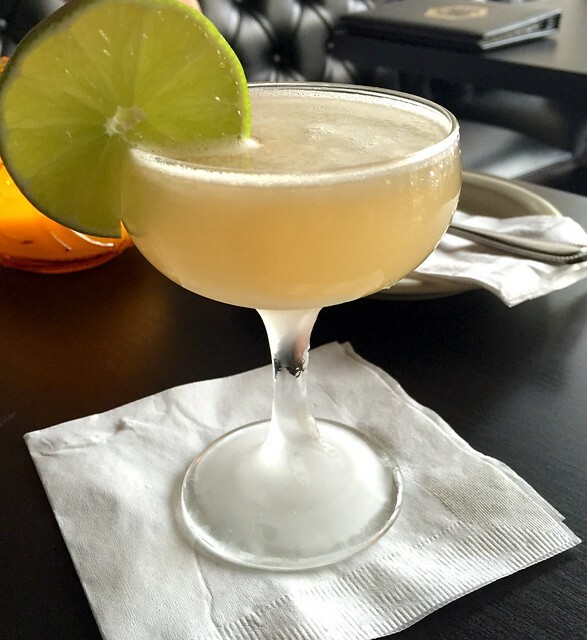 I'll piggyback off Homre's post to say I also recently hit Ward 8 and they continue to be the best cocktails on the northside. I ordered a mix of cocktail specials offered currently as well as some favorites of Anders and Cody. I don't even remember when this was last on their menu, but I've been ordering it for the past 6+ months. Spicy and refreshing. Cody dumped what I can only assume to be an entire bottle of tobasco my second order of this fella. What else has to be said? Ward Eight is incredible. 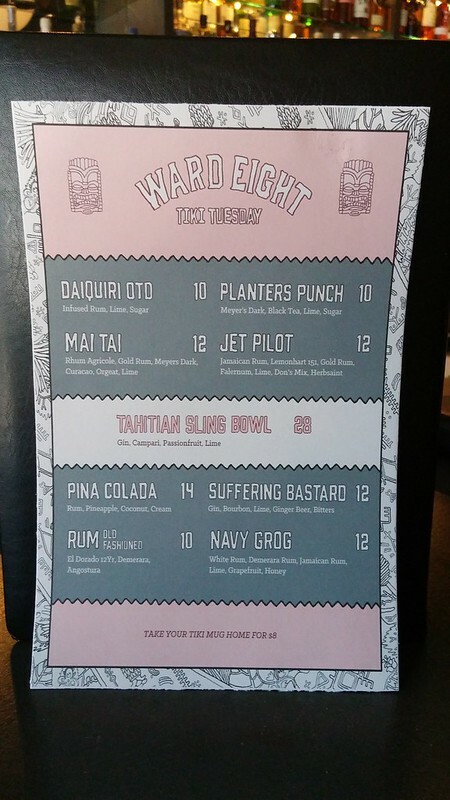 I've had a couple of recent visits to Ward 8 and agree that they continue to put out fabulous cocktails. Cody makes a terrific Negroni. Not sure it's going to matter much to those of us who drink at Ward 8 but the owners have purchased the building from the City of Evanston, which is very cool for them . . . The City of Evanston announced Friday the sale of the three-story mixed-use building at 629 Howard Street to the owners of Ward Eight Cocktail Lounge. Well that's timing! On that note please join us on this Wednesday, October 19, to celebrate Cody and Anne's purchase of the building and support Peterson Garden Project. Ronnie, hope you can make it, Cody's making a cocktail using FEW spirits just for us.